The 2008 season of interpretive programming at Halibut Point State Park kicks off on Sunday, April 13 at 8:00am with Birding for Beginners. Peter Van Demark is again hosting this monthly 2-3hr. moderate stroll along the park’s paths and rocky shore. Halibut Point, a significant viewing location along the North American migratory path, features frequent sightings of pelagic species such as gulls, terns, gannets, purple sandpipers, alcids, shearwaters, loons, jaegers, grebes and more, while in the park’s inland regions quail, towhees, tree swallows and wild turkeys are often spotted. Like all programs at Halibut Point State Park, Birding for Beginners is FREE to the public. Meet Peter in the parking lot. Bring your binoculars! 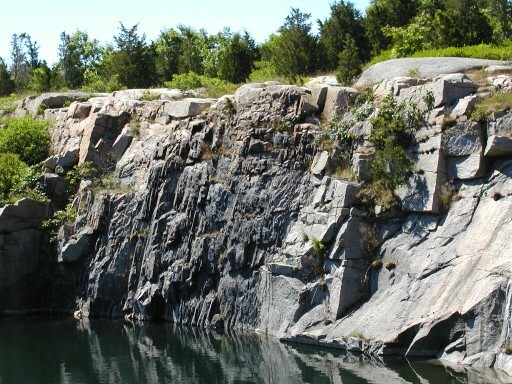 On Saturday, April 26, Halibut Point State Park will begin its weekly Quarry Tour. This popular program, beginning at 10:00am in the Visitors Center and running every Saturday thru October, features a twelve minute video about the park’s history, a granite-splitting demonstration by Halibut’s interpreter, and a one mile walk around the onsite former Babson Farm Quarry that details the physical aspects of quarrying, the history of building with natural stone in America, and Cape Ann’s unique geology. This program lasts approximately 90 minutes and is FREE to the public. 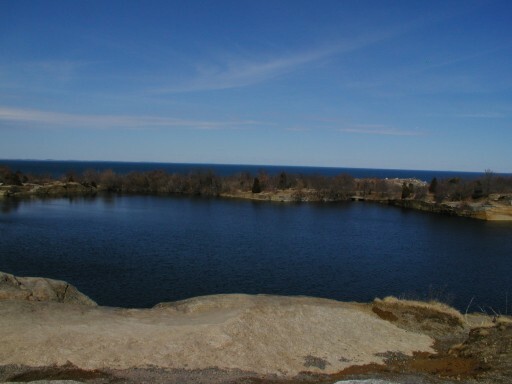 On Sunday, April 27 at 1:00pm Halibut Point State Park will debut a new standard program, The Military History of Halibut Point. Running for approximately one hour every Sunday thru October, this program features a tour of the park’s new military history display and a climb up to every level of the park’s artillery fire control tower. Halibut’s new ground-floor overview of the park’s military history dating back to the War of 1812 features text, photographs, lithographs, documents, artifacts, memorabilia and period reproductions. The five-story tower, built with steel-reinforced concrete, was constructed by the US Army Corps of Engineers in 1943 and staffed by the Army Coastal Artillery Corps, originally housed sighting instruments for aiming 16″ long-range guns as part of both the Boston and Portsmouth, NH harbor defense systems. After World War Two, the tower and its attached barracks (now the park’s Visitors Center), were staffed by US Air Force personnel engaged in radar research in conjunction with MIT’s Lincoln Lab, a classified project that led to the development of semi-automatic ground environment (SAGE) and the Cape Cod Radar System, the prototypes for the Cold War radar defense systems that blanketed the United States for decades. This program meets in the Visitors Center and like all programs at Halibut Point is FREE to the public. 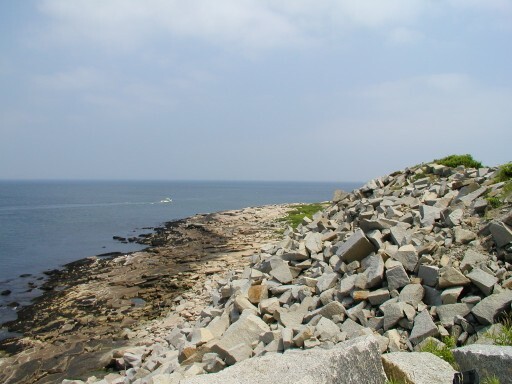 Check back soon for more information about Halibut Point State Park’s 2008 programming schedule that will include standard programs such as Geology Rocks!, Tidepools, Ceremonial Time: The Fifteen Thousand years of Fifty Acres, Reading the Forested Landscape and more! Special events this year will include another season of Sunday Sounds concerts sponsored by The Friends of Halibut Point (kicking off with Livin’ on Luck on June 1 and followed by Alek Razdan and A-Train on June 22), Stargazing, Wildflower Walks, Dragonflies in the Park, a special family program from natural light photographer Leslie Bartlett, more Birding for Beginners, Snakes of Massachusetts and the World, the DCR’s Park Serve Day, a trip along Rockport’s resplendent coastline in The Atlantic Path with The Trustees of the Reservations Ramona Latham and much more.